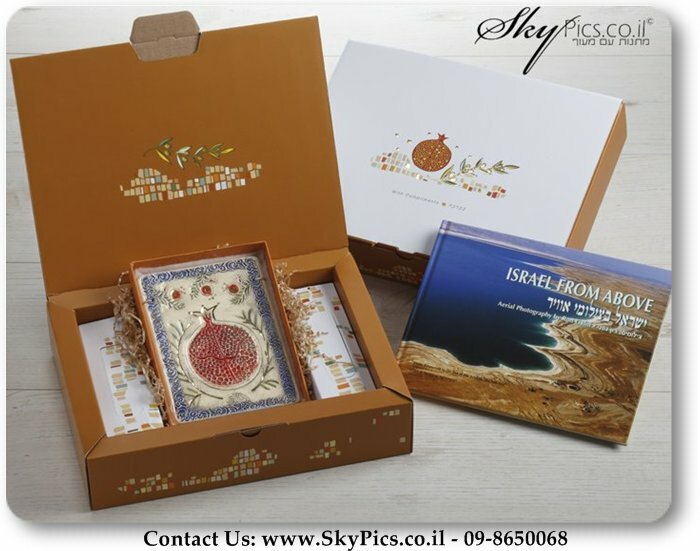 Would you like to give an original Israeli gift that provides a piece of Israel and supports Israeli products and art? 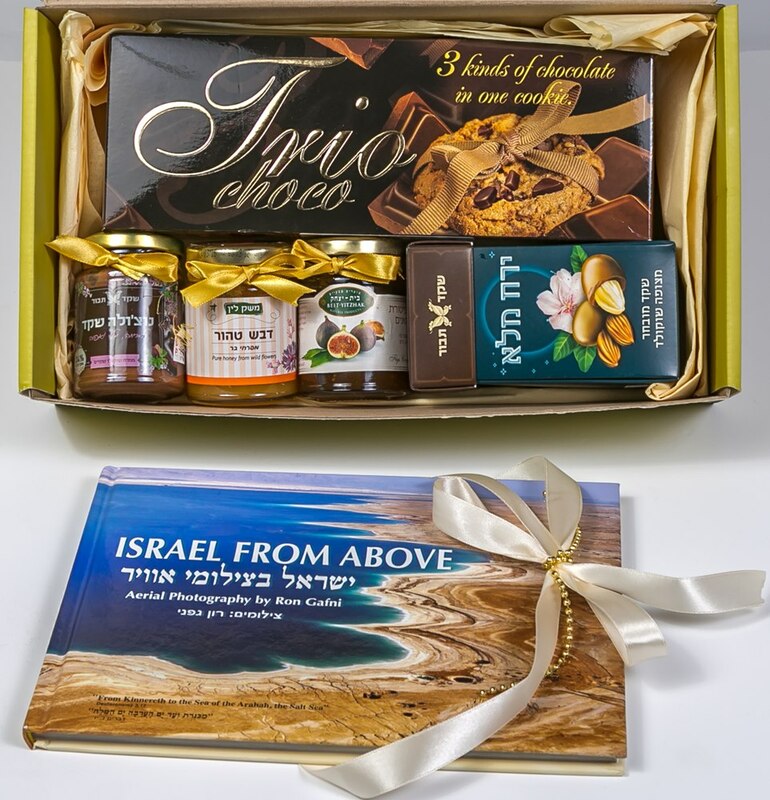 Our large variety of gift baskets contain Israeli delicacies that will bring the smells and flavors of Israel to you. 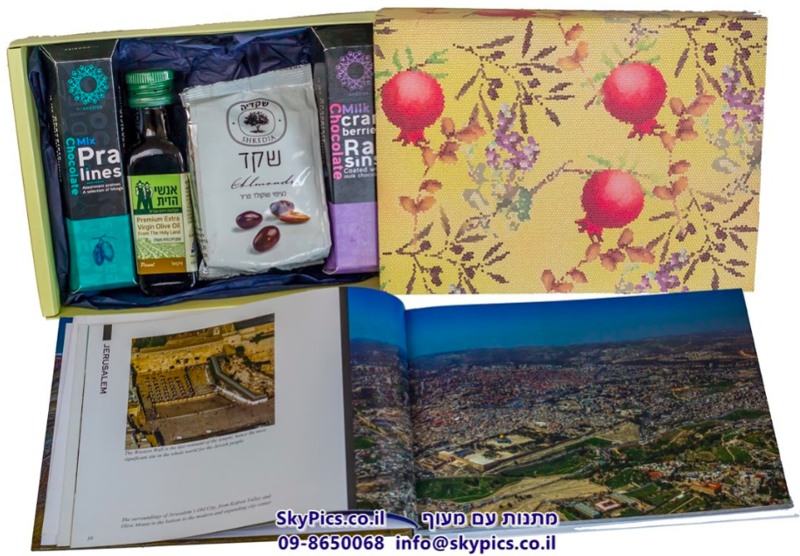 You can select from dates, honey, wine, liqueur, chocolate, and olive oil. 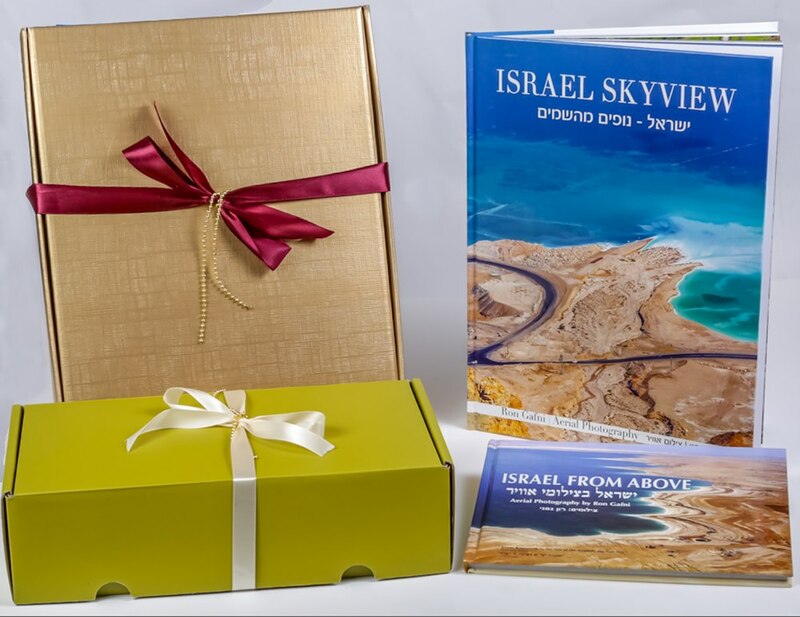 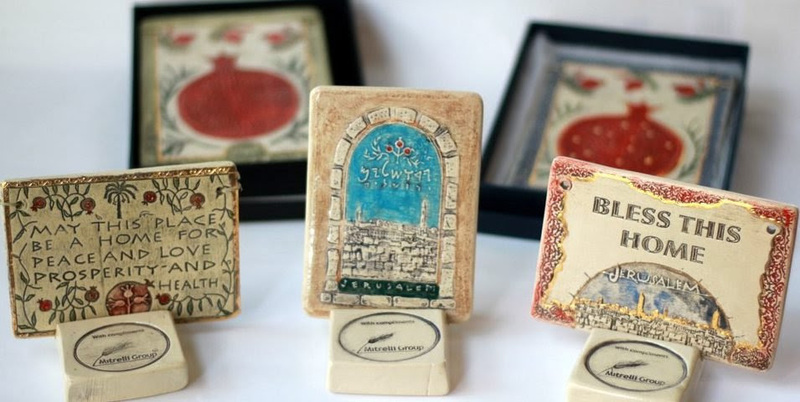 All these can items can be paired with our books presenting the beautiful land of Israel or with Israeli hand crafted artifacts, symbols, and art to create the perfect authentic Israeli gift. 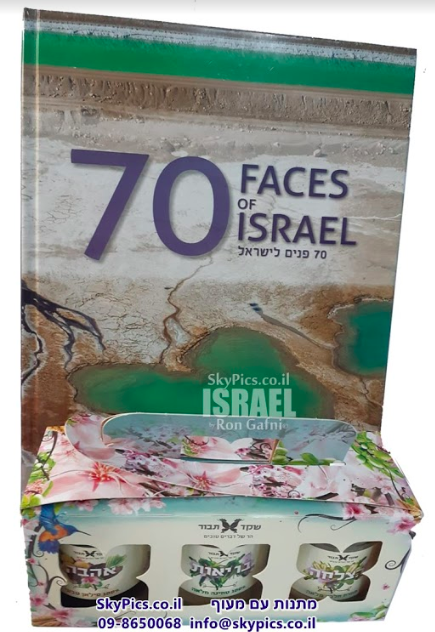 All of our products are manufactured in Israel. 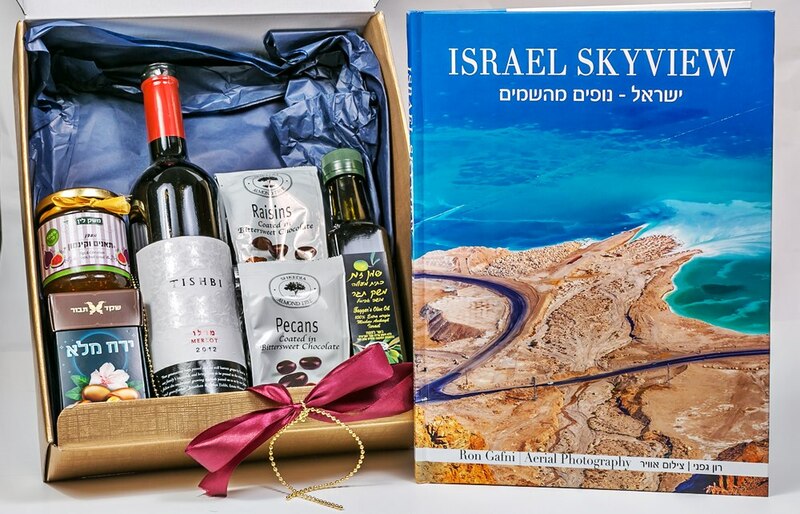 Contact us and we will help you assemble the perfect Israeli gift basket of your choice to match your taste and your budget. 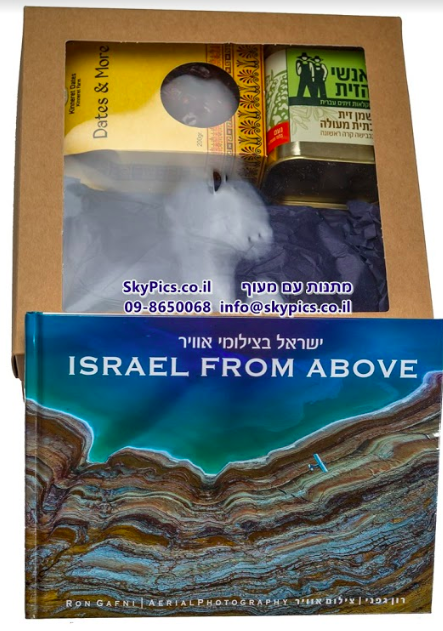 With the small book, Israel from Above, 2 boxes of chocolates, 100 ml of olive oil, and coated almonds. The transparent case with the little book Israel from Above includes high quality olive oil and 250 grams of Mahogul dates. 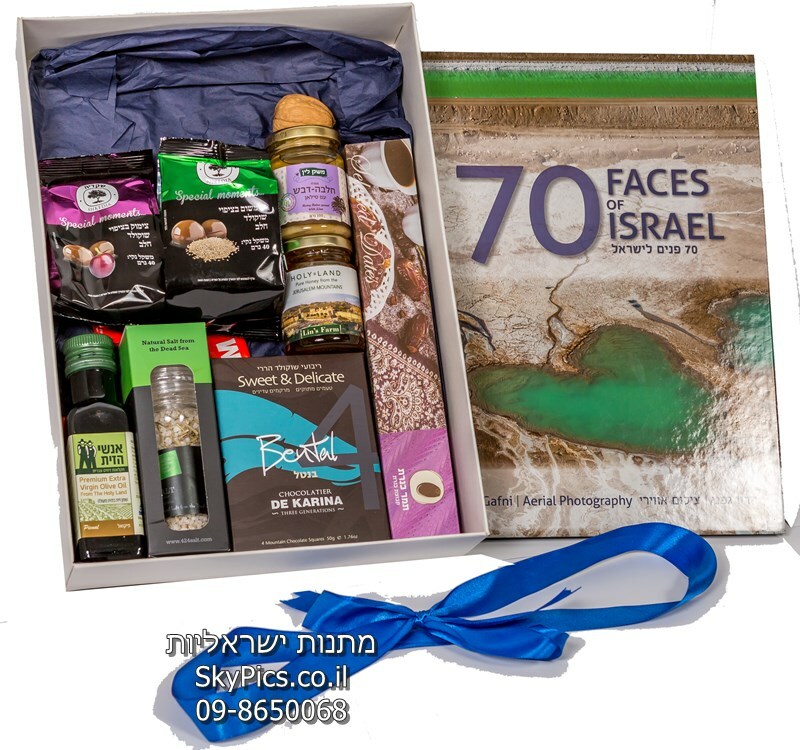 Our "Three Flavors" gift package includes 70 Faces of Israel, quality spreads of halva, silan and a surprise!